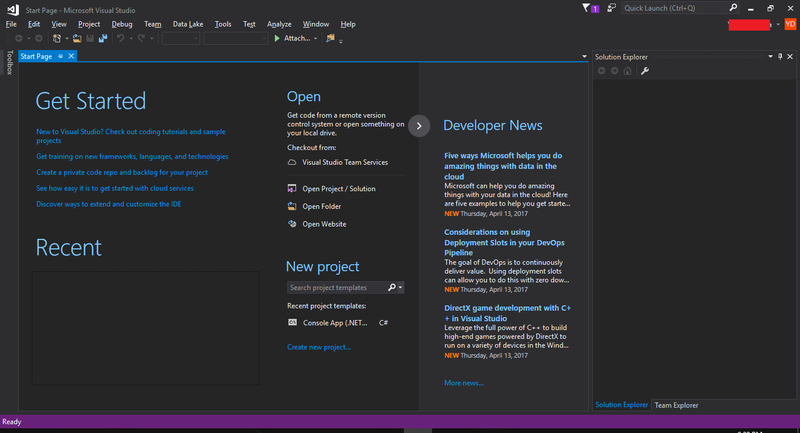 Since I started this C# learning project, a few things have changed. Today I will talk about one of these things. 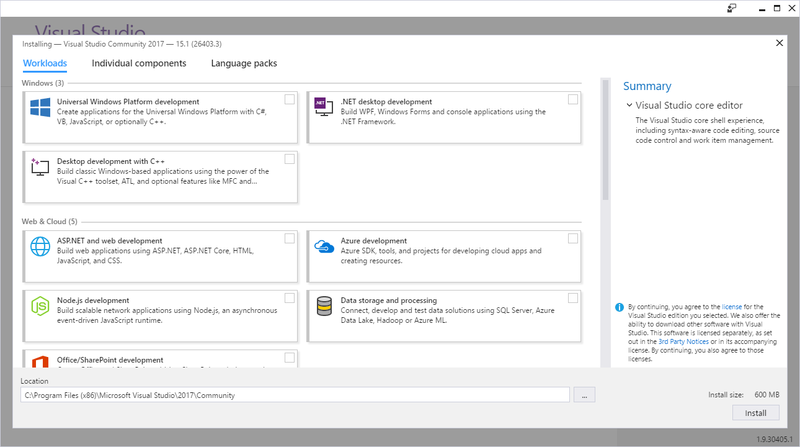 And, good news: a new version of Visual Studio has been released. 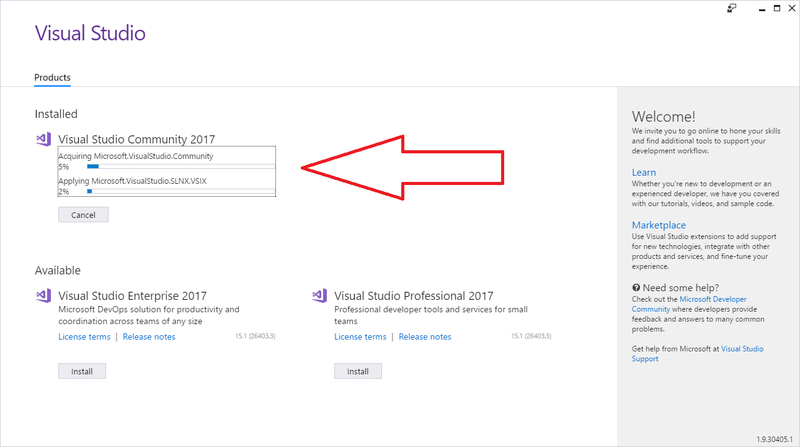 So, today we will talk about installing Visual Studio 2017 Community Edition. 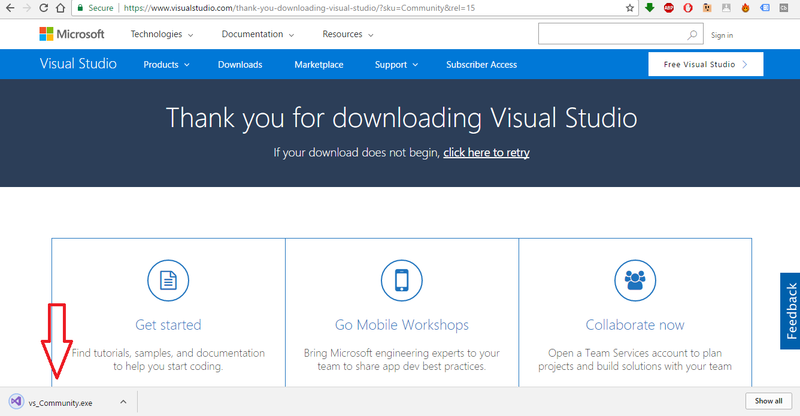 So, first, we go to the download page, which at this moment is located here. 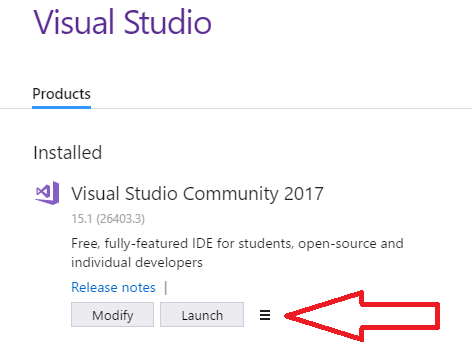 Download Visual Studio Community and start the executable that will download. If you feel adventurous, you can select other components to install, but they will be of no use for you in regard to the lessons presented on this website. Also note that installed items can be later on changed, if you decide to do so. 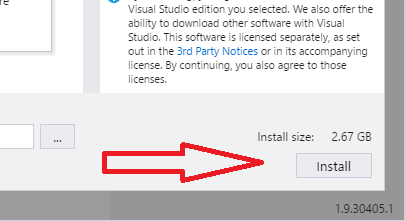 You can also change the install location if you want to. This could take a lot of time, depending on the number of packages you chose to install, you internet connection speed and your CPU speed. Be patient until it is done. 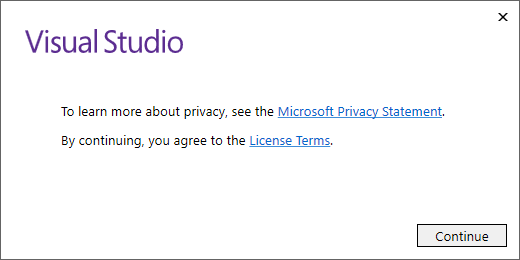 You can start using Visual Studio right away, even without signing in, but if you don’t, you will not be able to use it after a while, until you sign in. This entry was posted on Wednesday, December 21st, 2016 at 04:10 and is filed under Introduction. You can follow any responses to this entry through the RSS 2.0 feed. You can skip to the end and leave a response. Pinging is currently not allowed. There appears to be an error when the Facebook comment interface post button is pressed. I suspect it is some impatients when retreiving the original post to apply the comment, but that is only my intuitive speculaton. I did have two Internet Explorer tabs on facebook open at the time, but I doubt that would cause trouble. Refreshing the page shows the comment is posted and everything appears normal. 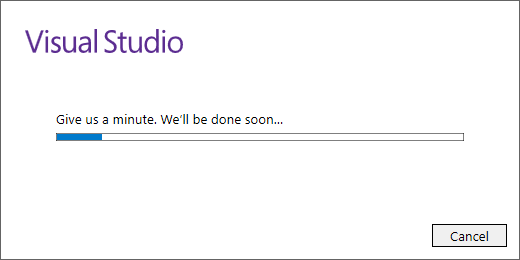 There is no real error after all, just letting you know, and testing the interactivity here too while I wait for Visual Studio to install. Thank you for making this way out. I do know that there are some problems with the Facebook commenting platform, and this is because they are making changes to their API, and there seem to be a lot of bugs. After all, I am using the official WordPress plugin developed by them. I did notice that in my developer area I have all the past comments, while on the website, they do not appear anymore, after they’ve made the changes. Posts (RSS) and Comments (RSS). 513 interogations. 0.380 seconds.